The mother of all Thanksgiving shopping lists! 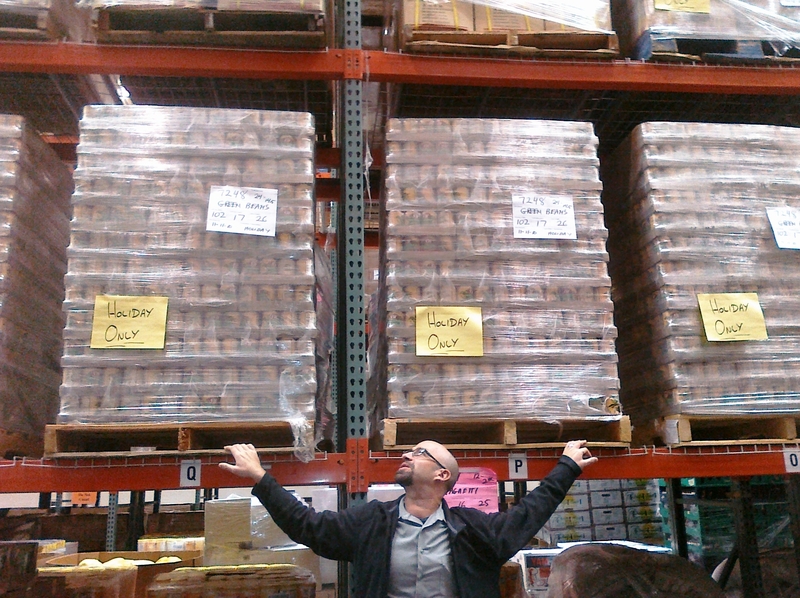 Food Resources Manager John Curry, with some of the 143,012 cans of veggies we'll be distributing thisThanksgiving. ﻿You’re probably reading over your favorite family recipes and putting together a Thanksgiving shopping list this week. Well, how would you like to have ﻿this list? You guessed it – these are all the Thanksgiving groceries our Food Resources department has been working to gather for distribution to families in need. Just imagine three semi trailers of potatoes pulling up to your house. That’s how many we’ll be delivering for holiday meals. Not to mention a couple more truckloads full of yams! 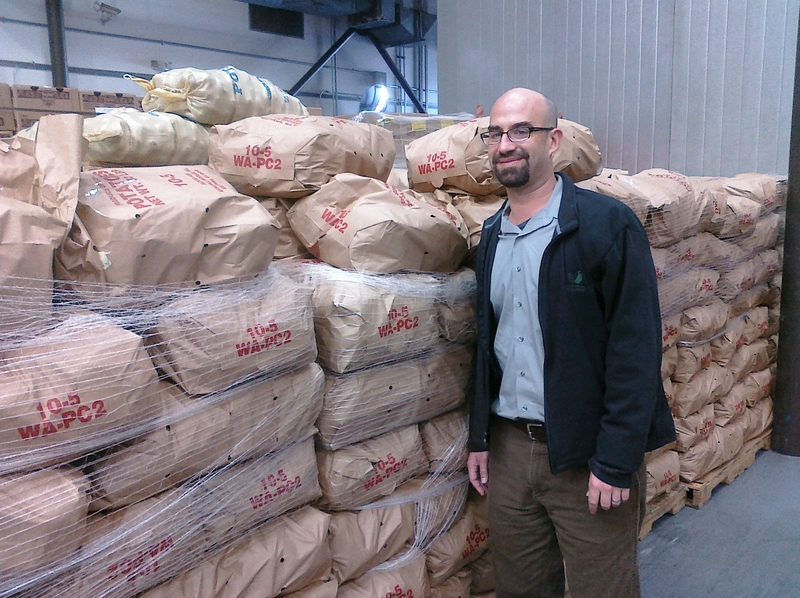 Just a few of the 100,000 pounds of potatoes headed for Thanksgiving meals. Thanks to Del Monte, we have canned veggies stacked to the rafters, plus tons of fresh produce sourced through the Farm to Family program. 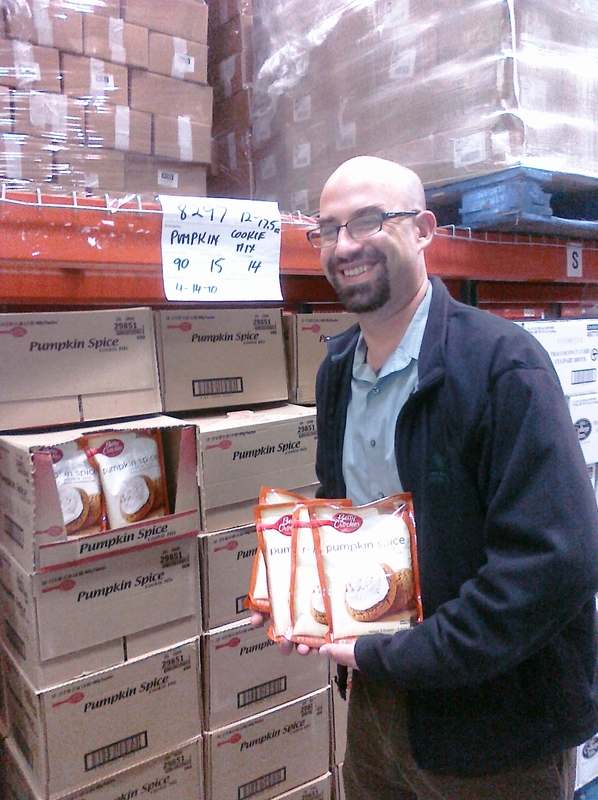 We were especially excited to get our hands on 32,000 bags of pumpkin spice coookie mix. While some holiday foods are donated, SF Food Bank has had to buy many others, including 34,000 chickens set to arrive in our warehouse over the course of four days. Each shipment will be turned around instantly and delivered to grocery pantries across San Francisco and Marin. These “just-in-time” deliveries, thanks to supplier Pacific Agri-Products, save us a bundle on cold-storage. In addition to holiday classics like gravy mix (36,000 packets!) and cranberry sauce (36,720 cans just arrived! ), we also try to offer culturally appropriate foods, including bottles of Asian oyster sauce. This year, we’re targeting to provide Thanksgiving food to 35,705 families – more than a million pounds of food in all. If you’d like to help us with our massive shopping list, go here. As always, every $100 donation enables us to distribute $600 worth of food. And for that, we truly give thanks! 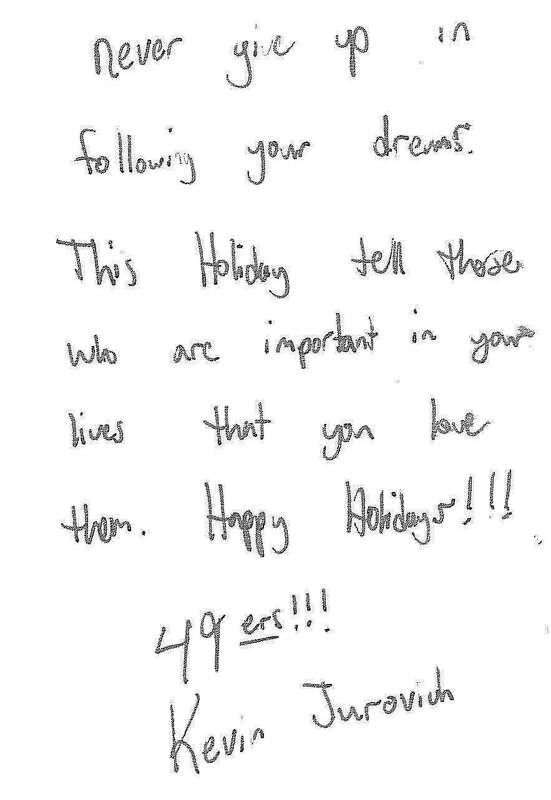 San Francisco 49ers write holiday notes to Food Bank clients – you can write one, too! 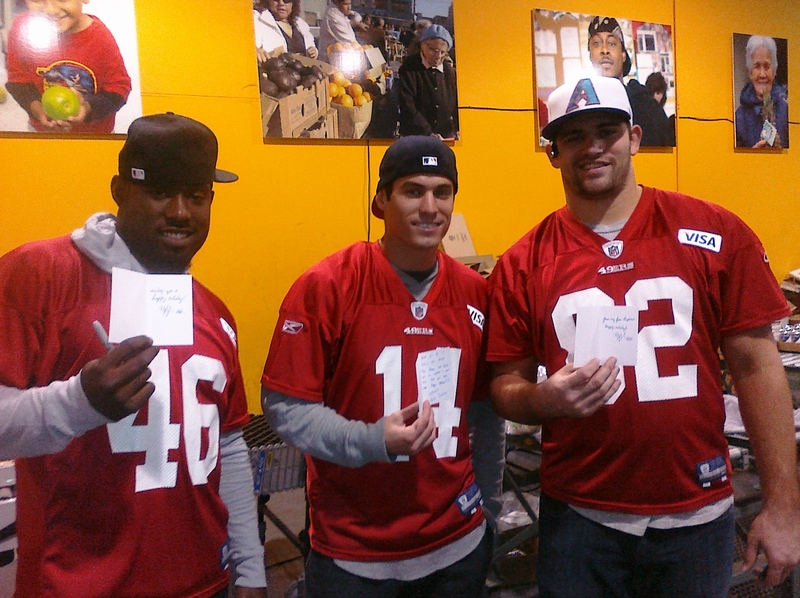 Members of the SF 49ers with holiday notes they wrote to SF Food Bank clients. We’ve got a big goal: to give a note of caring and encouragement to each family receiving Thanksgiving groceries from the San Francisco Food Bank. That’s 35,705 notes! You can help, too! Write your note online and we’ll print it out to share with one of our 35,705 client families. This holiday season, help us make sure families in need get all the nourishment we associate with Thanksgiving – and all the good cheer that makes the food taste so much better. Please join the 49ers and write a note here! We Salute the Word Champion SF Giants – with these SF Food Bank Giants! 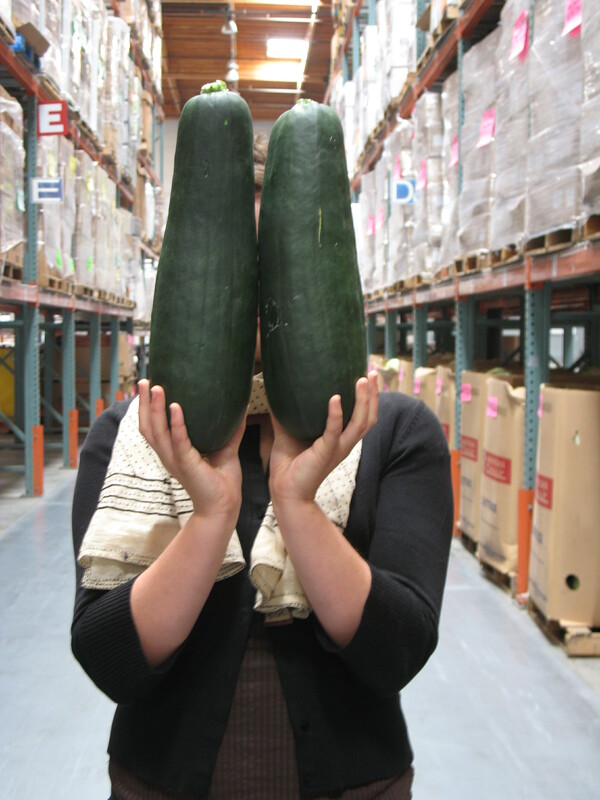 What’s up with all these giant veggies in our warehouse? 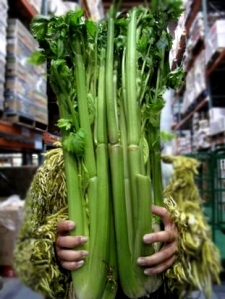 We get tons of fresh produce that is good to eat, but too big or too small for the standards at grocery stores. 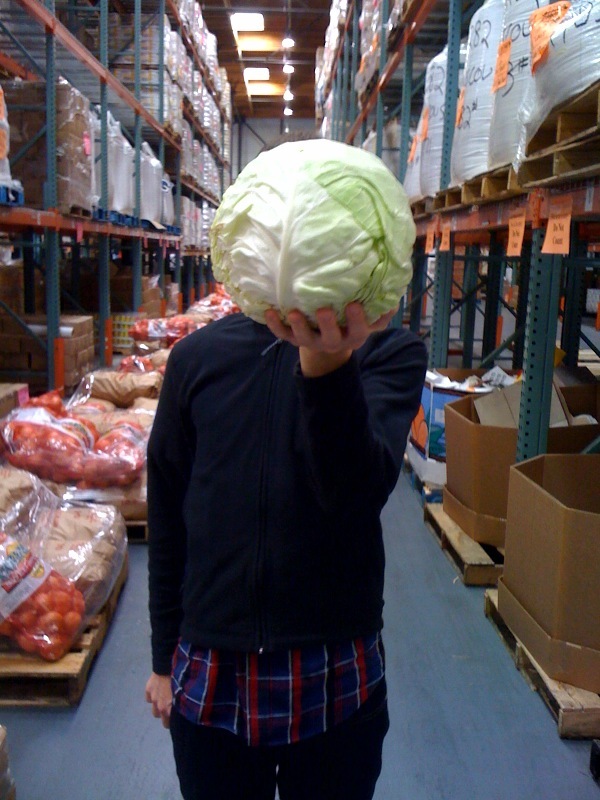 Yet, all those misfit fruits and vegetables are real winners when it comes to providing great nutrition for SF Food Bank clients. Scroll down to see more of our “giants.” And congratulations, SF Giants! !